What comes next for Rajiv Shah? Many who have followed the career of the young head of the U.S. Agency for International Development have been itching to ask the question — and Asif Shaikh, senior advisor at the Center for Strategic and International Studies, finally did so at the 2013 CIDC Conference on Wednesday. Shaikh put the question in no uncertain terms, and even narrowed down Shah’s options for him. As expected, Shah — about whom retirement, reappointment, and even campaign rumors have circulated for months as he moves into the fifth year of his administration — mostly dodged the question. 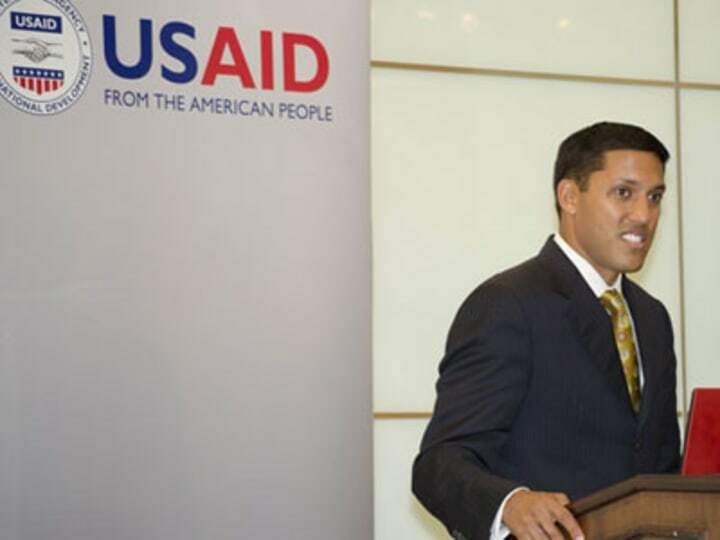 But he did suggest his current role at USAID might be his last position in public service, at least for a while.